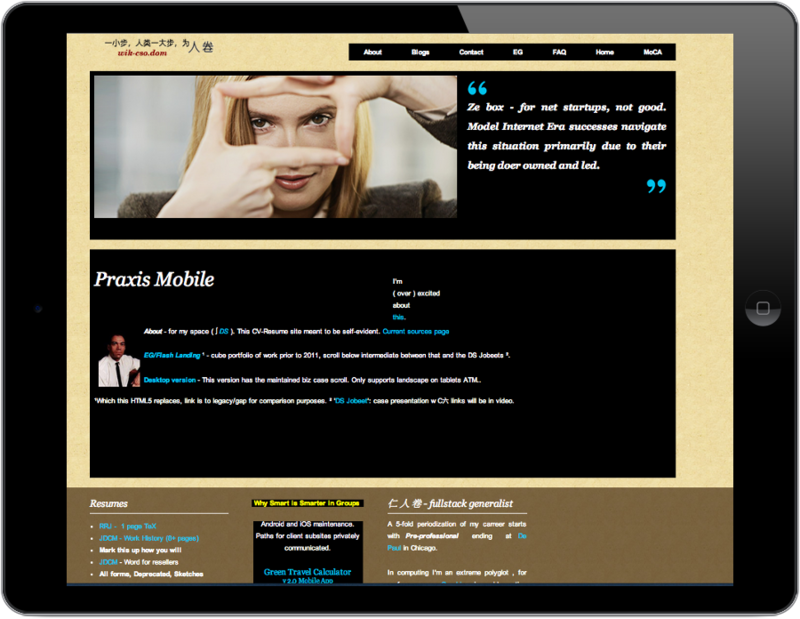 Drupal desktop and mobile instances present the resumes, biz case presentations and other content. 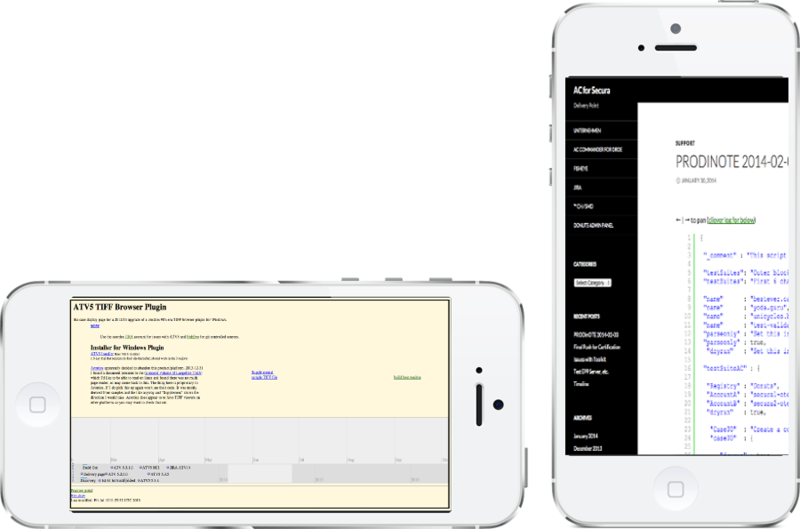 The tour is responsive to form factors, assisting self-discovery of the CV space content. For the '20s doing something with DS whose design, devOps and deployment sont moi metier. This tour is the final, maintained RIA presentation of my personally delivered professional services career, the first was the Flash Cube, noted in the next page of the tour. "Jobeet(s)"¹ (l) are superceded by SPLEG and other elements after 2015 XE. ¹ refactored from the Symfony 2 tutorial in the context of the 'Public Market' story. Routinized biz case methodology, each has public facing, client private, and semi private parts. Use DS login to access semi. My JIRA/FishEye over git repo has primary development sources for both my open source products and client projects (with closed proprietary repos such as AC, Acordex). Public forks and some shared code are in my free git hub account. At this writing git and github have become predominant VCS and public source repository, respectively, with git replacing svn where I have the decision. © 仁 人 卷 (Juan E. Daugherty) 4715 (2017 XE).